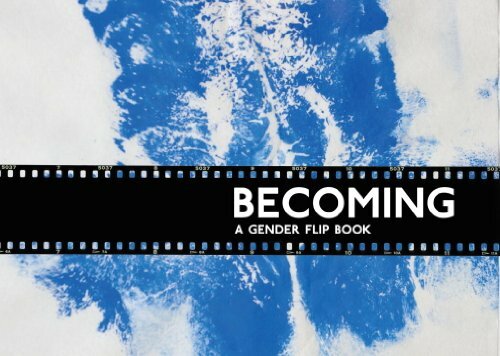 In 'Becoming', artist Yishay Garbasz dares to explore one of society’s most taboo subjects—the exercise of individual agency in the unmaking and remaking of a body’s gender. In this groundbreaking work and objet d’art, Garbasz courageously documents the changes she underwent from one year before her gender reassignment surgery until one year afterward. With unprecedented honesty, the artist photographed her body every week, chronicling the changes throughout this period. Becoming’s flipbook format renders visible and immediate the element of time in this process. 'Becoming' distills the more than 900 pictures that Garbasz took of herself during this two-year period down to a selection of 89 photographs. Whether flipped through in a kinetic continuum or at a viewed slowly, photograph by photograph, these images confront viewers both with discrete moments in time and with the overall process of change.